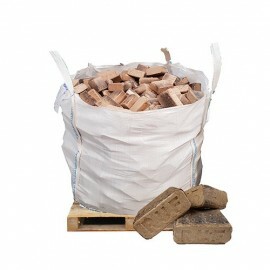 Our Ecofire RUF Briquettes are perfect for use in chimneas, open fires and multi-fuel stoves. These high quality hydraulically pressed briquettes are incredibly dense, very long lasting and very dry. Ordinary firewood logs produce less heat until all the moisture is evaporated from the log, with these superb wood briquettes heat is produced ALMOST INSTANTLY due to the ultra-low moisture content!